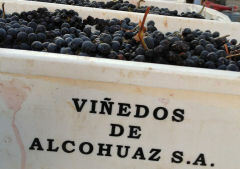 The famously high vineyards of South America have so far been all about Argentina in the minds of the wine drinking public, but Chile has been moving up too and just released are a pair of wines from a project called Viñedos de Alcohuaz that come from the country’s highest commercial vineyard at 2,200 metres above sea level. Alvaro Flaño began to buy the land here in the mid-1990s, planting his first vineyard in 2005. Now the operation is run by his son Patricio, and the two wines mark a new high point in Chilean wine – quite literally. According to wine research and strategy group, Wine Intelligence, the USA remains the world’s most attractive wine market, Japan rises to #3 and UK re-enters top 5 whilst China falls to #6. The report claims that the United States is by some distance the world’s most attractive wine market for sales and marketing investment for the next year. Their research ranks markets using a combination of economic and wine market measures – including ease of doing business and sophistication of the supply chain – to determine their attractiveness. Despite the USA’s convoluted and fragmented distribution structure, it remains the strongest bet for sales growth because of its booming economy and increasing spend and consumption habits of its wine drinking population. Germany remains the second-most attractive market. 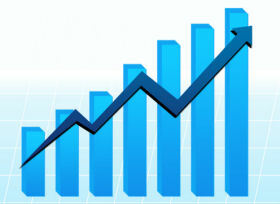 Re-entering the top 5 are Japan (#3) and the UK (#4), both of which have benefited from economic recovery in the past 2 years, and in Japan’s case, a more sustained growth trend in wine consumption. China’s fall is due to the significant cooling of the imported wine market over the past two years as “the government’s anti-corruption drive has deterred the trophy Bordeaux purchase for gifting, and the overall economic performance has slowed.” The report concludes, however, that China remains a strong long-term market bet, and is expected to make a return to the top 5 as more middle class Chinese get into the habit of buying everyday wine for consumption at home. Though the great and the good of world literature from Salman Rushdie to Bill Bryson will be there, wine lovers might want to take in Oz Clarke’s appearance at the Cheltenham Literary Festival in October, as he presents ‘The History of Wine’. The price is £50 per ticket, but it does include a three course meal with matched wines, all taking place on Tuesday 6th October within the festival’s Spiegeltent. Public booking opens on Wednesday 02 Sep at 1:00pm, at cheltenhamfestivals.com. The summer weather in the UK may be even more unpredictable than usual this year, but it is August, so we bring you news of ‘Pops’ – Premium Ice Popsicles. 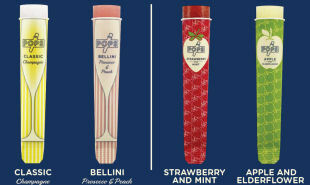 Made in Britai “using natural ingredients,” the first Pops launched last summer with the ‘Classic’, a Champagne popsicle which is made using half a glass of Champagne, has an ABV of 4.3% per lolly and contains 52 calories. There’s no information on the source of the Champagne (though presumably not Krug Clos d’Ambonnay), but three new flavours have just been launched, two non-alcoholic (Strawberry & Mint and Apple & Elderflower) plus Peach Bellini made weighing in with 3.8% ABV and made with half a glass of Prosecco, peach schnapps, blood orange juice and hibiscus flowers. You can buy them from stands at summer festivals, a range of London clubs and bars and in Ibiza’s hotspots apparently. Stockists and info at wearepops.com.